California’s Division of Occupational Safety and Health has adopted a new rule to help reduce injuries for hotel housekeepers. Cal/OSHA’s Occupational Safety and Health Standards Board approved the rule in a 5-0 vote on Thursday. The rule will require employers to establish, implement and maintain an effective written musculoskeletal injury prevention program that addresses hazards specific to housekeeping, according to Cal/OSHA. Lifting 100-pound mattresses and pushing heavy carts and vacuums can lead housekeepers to suffer strain, sprain and tear injuries that can require physical therapy or even lead to permanent disability, according to the union, which first petitioned Cal/OSHA to develop a standard to protect hospitality workers from injury in 2012. California’s state-run OSHA program has proposed a standard to prevent musculoskeletal injuries among hotel housekeepers. Read on to find out more about the effort and how long it’s been on the drawing board. For years, advocates for hotel housekeepers have been pushing for a regulation to protect these workers, who are exposed to significant risks on the job. In January 2012, the union UNITE HERE filed a petition with the California Occupational Safety and Health Standards Board (OSHSB) requesting the adoption of a standard to address a variety of hazards, including limiting the square footage that can be assigned to a worker during an eight-hour shift. Housekeepers are an integral part of the hotel industry, and employee appreciation is a professional form of endearment that not only boosts the morale of the workplace but also the quality of work being produced, with 91 percent of workers saying they feel motivated to do their best when they have leadership support. Madeline Chang, director of housekeeping at Aston Waikiki Sunset in Honolulu and director at large of the International Executive Housekeepers Association (IEHA), explains why hoteliers should take a second look at how they appreciate their housekeeping staff. How can hoteliers be better attuned to their housekeepers’ needs? Housekeepers are the eyes and ears of any operation. They have a direct impact on your guests’ experience, so it’s important to listen to them and hear the challenges or frustrations they might be experiencing. While you can create an open-door policy that establishes a channel for them to communicate with you, not all housekeepers will do that, so you should take the time to regularly walk the floors and speak with them directly. Hold daily morning briefings (which is a must not only for them but for me to set the tone for the day), carry out observations, get them to communicate their thoughts and suggestions, and make them an integral part of the operation. This buy-in from the management team and teammates is extremely helpful. Always keep them in the loop. What are some ways in which hoteliers are already getting it right with housekeeper appreciation? A well-organized and well-stocked housekeeping cart is the key to efficiency. It enables room attendants to avoid wasting time looking for a cleaning item or making trips back to the linen room for more supplies. The specific amounts of items loaded onto a cart will vary according to the types of rooms being cleaned, the amenities offered by the property, and, of course, the size of the cart itself. A room attendant’s cart is generally spacious enough to carry all the supplies needed for a half-day’s room assignments. Most carts have three shelves—the lower two for linen and the top for cleaning supplies and amenity items. It is just as important not to overstock a cart as it is not to understock. Overstocking increases the risk that some items will be damaged, soiled, or stolen in the course of cleaning. In most cases, all the cleaning supplies for the guestroom and bathroom are positioned in a hand caddy on top of the cart so that the room attendant does not have to bring the entire cart into the room. A laundry bag is usually found at one end of the cart and a trash bag is at the other. A broom and vacuum are also positioned on either end of the cart for easy access. For safety and security reasons, personal items and room keys should not be stored on the cart. When hotels talk about inventory management, it is usually in terms of rooms—you can’t make money without guests in rooms, whether it is a guestroom, meeting room, or ballroom. But let’s step back and think about what it takes to ensure you have those rooms ready for weddings, groups, family reunions, conferences, and individual travelers. Have you ever had to scramble to a Plan B solution because you were out of stock on a repair item, such as a joint for the bathroom sink or paint to touch up the trim, or inexplicably ran out of light bulbs? What did it cost you to send someone out on a special run to pick up that item or move a guest to another room while you waited for the part to fix that sink? 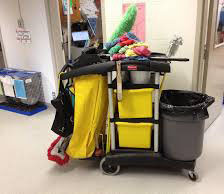 Even without a maintenance problem, turning rooms can be delayed if your staff does not have the cleaning items needed to do their jobs, despite the significant amount of money you budget for those supplies. As you can imagine, the concept of inventory management is one that can apply to the products used to maintain and repair your hotel to keep it running at optimum levels as well. Through research, Grainger discovered that among organizations surveyed, employees leave the supply closet empty-handed 22 percent of the time because they cannot find what they’re looking for. It could be because that item is misplaced, out of stock, or being used by someone else in the hotel. Whatever the cause, the item isn’t there when needed, despite the investment you made to purchase and stock that item. The chances are extra products will be purchased to fix that specific issue, and the worker will either hold on to that extra for fear of needing it again and not being able to find it, put it where he or she believes it goes (which may not be the same place other workers look for it), or place it where it goes and in doing so, find the missing product (because he or she did not see it the first time or it was returned to its proper location after being used). That translates into wasted time and money, and if it happens enough, a world of frustration. But how can that happen when it seems like your supply rooms are exploding with products, and some of them seem like they have been there for ages? Interestingly, the same research mentioned above also revealed that only 5 percent to 15 percent of maintenance, repair, and operations (MRO) inventories are frequently used, and an equal percentage of the items are duplicated—because you cannot afford to not have a backup supply. You want to avoid having too much of an item, yet do not want to be caught without enough to meet immediate needs. You want to ensure the right products are in the right place at the right time with minimal expense and effort. Inventory management programs can help. Whether you choose to manage your MRO inventory yourself or have the supplier manage it for you, there are benefits to be gained. A systematic approach based on real usage data can help you make sure you have the right products on hand to maintain your facility, without over investing in items that you don’t need. Legionella bacteria were identified in 1976 as the cause of Legionnaires’ disease (a deadly pneumonia) and Pontiac fever. More recently, rates of contamination and infection have been on the rise across the United States and around the world. Not only are there new, unexpected sources of contamination, but also drinking water sources and infrastructure (in addition to premise plumbing) have been implicated in the increased spread of Legionella. In order to avoid expensive, public evacuation and closure, hotel operators are beginning to monitor their facilities for Legionella contamination. According to the Centers for Disease Control and Prevention (CDC), Legionella infection has a 5 to 30 percent mortality rate and is responsible for at least 8,000 to 18,000 U.S. hospitalizations each year. The sick and elderly are most vulnerable, but anyone is susceptible. Each week there are new reports of Legionella contamination in hotels, cruise ships, and hospitals that has resulted in closure for remediation. Several high-profile deadly outbreaks have occurred recently, including one around Flint, Mich., (nine deaths) associated with its lead contamination. Twelve deaths from Legionnaires’ contracted at a hotel in the South Bronx last summer prompted New York State to pass a regulation on the monitoring of cooling towers for Legionella. Because contamination is intensifying—The Lancet reported a 219 percent increase in reported cases of infection during 2000-2009—incidents like these, and subsequent regulations like New York’s, are expected to become more common. Legionella prefers warm, wet environments, but because it can grow in a wide range of temperatures and conditions, it is ubiquitous in both natural and industrial environments. Infection occurs after inhalation, so any process that creates fine water droplets or aerosols (evaporative condensers, showers, spas, pools, decorative water features, or sprinklers) can spread Legionella. 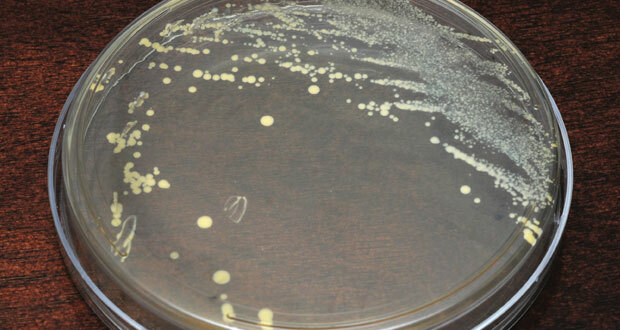 More unusual cases of infection have occurred as well. Recently, The New England Journal of Medicine reported strong evidence of person-to-person transmission. Grocery store produce misters in the United States and abroad have caused outbreaks when not cleaned regularly. Particularly surprising was the spread of Legionella through communities in Spain by street paving and cleaning trucks, resulting in 59 cases and 11 deaths. In these cases, identifying, removing, and cleaning the vehicles responsible ended the outbreaks. In its Hotel Safety and Security Assessment Form, the American Hotel & Lodging Association (AH&LA) recommends that procedures be in place to monitor and mitigate Legionella. It is essential to detect the bacteria early with a rapid, on-site test, allowing prompt, targeted treatment. This will minimize the risk of more extensive contamination leading to closure and undesirable publicity, or worse, infection of employees or guests. However, the Legionella detection methods currently in use fail to meet all of the above criteria. Culturing, the method recommended by ASHRAE Standard 188-2015 for building water systems, is generally accurate and quantitative, but very slow (one to two weeks), and, for multiple reasons, plagued by false negatives. PCR is faster, though not rapid (8-24 hours), not quantitative, and is subject to both false positives and negatives. Both methods are elaborate and expensive, cannot be performed on-site, and require scientific training. Strip tests are simple, but not quantitative, and do not detect all of the deadly species of Legionella. A new method being adopted by hotel chains and cruise lines, called immunomagnetic separation capture enzyme immunoassay (IMS-CEIA), meets the need for a fast, on-site Legionella test without the disadvantages of the other methods. With minimal training, it can be used by facility employees to monitor water systems and cooling towers, so that when necessary, prompt action can be taken while a subset of samples are sent for confirmation by culture testing. The continued global expansion of Legionella contamination and outbreaks has heightened the need for preventive monitoring by the hospitality industry. 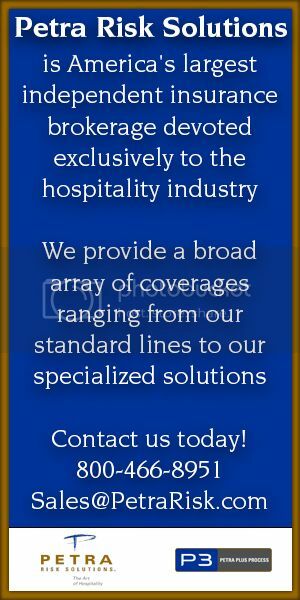 Incorporation of a testing program that can be performed on-site by hotel staff will enable rapid, targeted mitigation. High levels of customer satisfaction in the hospitality and leisure industries are critical to the success of any property. It is even more challenging to maintain customer satisfaction while reducing costs associated with employee injuries and the workers’ compensation claims. Employees are continually trained on the nuances of customer service skills and customer interactions in order to achieve the best levels of service. However, maintaining a high level of productivity is difficult when employees have been injured. Increasing injury rates result in higher workers’ compensation insurance, medical care, and claim costs. Taking a look at the causes of work-related injuries, implementing standardized work practices, and making simple changes can yield a significant decrease in injury risk and an increase in productivity. A single property within a national hotel chain has been able to decrease its workers’ compensation costs by $500,000 in the first year while improving its customer satisfaction ratings. Within the U.S. hospitality and leisure industry, food services and accommodations employees represent 12.9 million of the 15 million employees. In 2014, the recordable injury rate among these employees was 3.6 injuries per 100 full-time employees. These injury rates can be higher among employees in departments such as housekeeping and banquet operations. One study indicated that up to 95 percent of the housekeepers indicated they experienced severe to very severe physical pain. Any effective ergonomics and process improvement program should include aspects such as management support, employee involvement, training, problem identification, early reporting of injury symptoms, evaluation of hazard controls, implementation of hazard controls, and evaluation of progress. Effective administration and implementation of each aspect is important, but knowing which changes will bring the most improvement in productivity and injury reduction can make a big difference. Let’s take a look at housekeeping: Their work ensures proper cleaning as well as maintaining the visual standards of the brand. Over the past decade, consumers’ expectations of luxury as it relates to hotel rooms have increased. Furnishings are more luxurious and often include thicker mattresses, plush duvets, decorative bed skirts, and the inclusion of a variety of pillows. In an effort to reduce injury risk while maintaining or improving customer satisfaction within a housekeeping department, we reviewed common tasks and identified the tasks that were most likely to cause injury. A detailed study was conducted of these common housekeeping tasks, such as cleaning bathrooms, changing and making beds, and removing trash and soiled linen. The evaluations determined the extent of injury risk factors and opportunities to improve the quality of the services performed. After the analysis, recommendations were made related to the selection of appropriate tools, the modification of techniques for cleaning showers and bath tubs to decrease awkward postures and minimize forces, and the identification of methods to minimize awkward postures and forces while changing beds and handling trash and dirty linens. One key factor in the success of these changes was training the employees in the appropriate methods, injury risk factors, and the proper use of tools. The changes made within the housekeeping department decreased duvet-making time by 32 percent while maintaining a standard look; reduced the number of awkward shoulder postures by 72 percent; and reduced the number of awkward back postures by 45 percent. Guests indicated an improvement by a 5 percent increase in customer cleanliness ratings. Another department that commonly experiences a high number of injuries is the banquet operations department. Within the banquets area, server and setup tasks were also evaluated. Following similar principles, tasks were identified that had previously caused injury or were difficult to perform. Evaluations were again conducted and recommendations were made. These recommendations involved working with vendors to identify the changes to carts that could make the most impact on decreasing push/pull forces while not decreasing the load on the carts. Additionally, standardized methods of room setup and table movement were established. These simple changes and employee training yielded a decrease in injury risk, improved employee morale, and increased efficiency. Maintaining high levels of customer satisfaction while minimizing employee injuries and workers’ compensation costs in hospitality and leisure industry is critical to the success of any property. Evaluation of tasks by a qualified professional (such as a certified professional ergonomist) can ensure that risk factors are appropriately identified and that the recommendations will adequately reduce injury risk. Minimizing costs, reducing injuries, improving efficiency, and improving customer satisfaction ratings are benefits of a successful ergonomics and process improvement program.